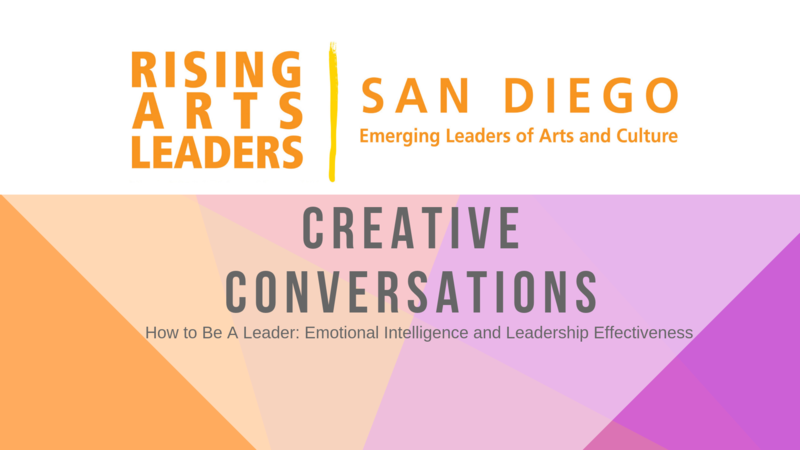 Join Rising Arts Leaders of San Diego for our annual FREE Conference, CREATIVE CONVERSATIONS. Guest speakers will provide invaluable insight into this year’s topic, “How to Be A Leader: Emotional Intelligence and Leadership Effectiveness.” Make sure to RSVP on our Eventbrite page! 330 Park Blvd, San Diego, CA, 92101, United States.